Cloud computing and security always go hand in hand with each other. Join Azure MVP Tom Janetscheck for this live demo session to learn how (un)secure Azure ressources can be out of the box right after the deployment and what we need to do to secure and harden our environments. You will find out how to protect Azure resources from accidental deletion, how to improve your security posture in the cloud, and how to gain insights into what's going on in terms of security. But, most notably, you will learn how to make Microsoft Azure the most secure cloud platform of all! In this demo-rich session Tom is going to cover security in Azure storage, networking, and compute as well as topics such as Azure Security Center, governance, and encryption. Tom is a Principal Consultant, Microsoft P-CSA (Partner Cloud Solutions Architect) and Microsoft Azure MVP at Devoteam | Alegri. His more than fifteen-year experience with Microsoft infrastructure solutions and his current focus on Microsoft Azure Security, Azure Infrastructure, and Azure Governance make him the right contact to talk about all things Azure architecture. 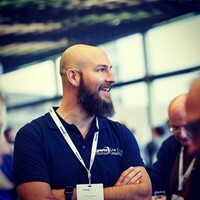 As founder and community lead of Azure Meetup Saarbruecken, as a well-known international conference speaker and Azure tech blogger, and as one of the founders and organizers of the Azure Saturday community conferences, Tom is actively taking his experience into the international tech communities. In his spare time, Tom is an enthusiastic motorcyclist, guitar player and station officer at a local fire department.